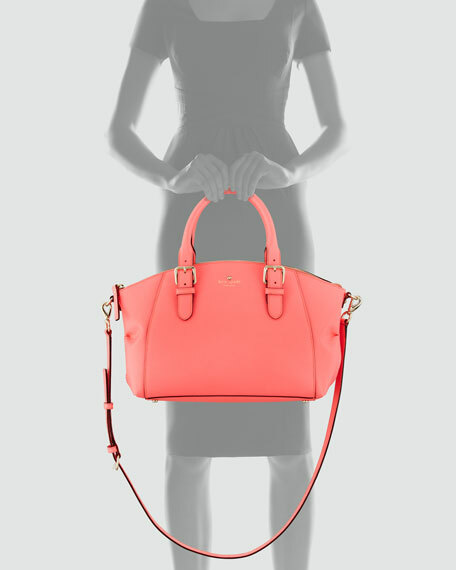 In textured saffiano leather, the charlotte street small sloan tote is ideal for everyday wear. 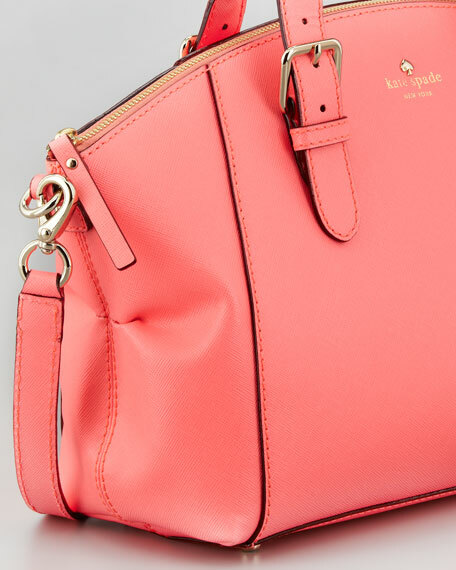 The slim and structured body of this kate spade new york design can be carried with professional polish, or hangs comfortably at your side from the removable shoulder strap. Saffiano leather with light golden hardware. Rolled tote handles with buckles; 4" drop. 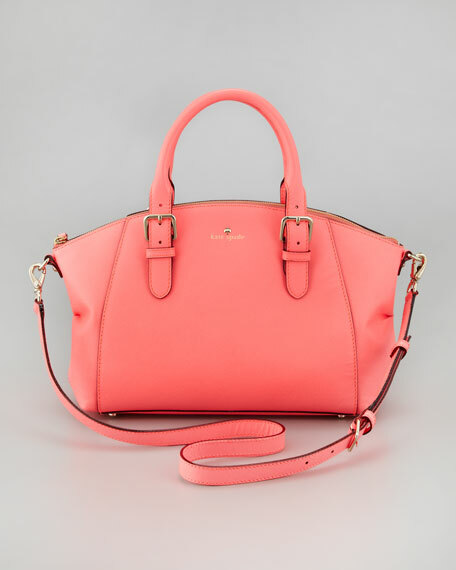 Removable, adjustable shoulder strap; 16" drop. Foil logo and metal spade decal. 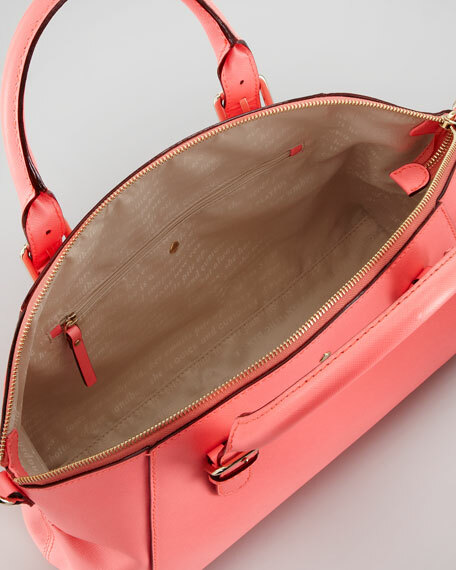 Zipper and open pockets inside. 9"H x 16"W; bag weight: 1lb. and 8oz.